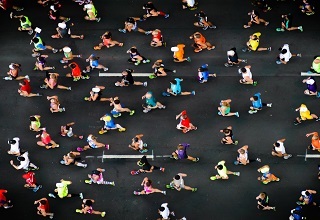 Taking part in the London Marathon or another running event? Be sure to download out our new gluten free marathon meal plan which is focused on increasing carbohydrate stores on the run up to the big day. You can either make it with the recipes below from our Home of Gluten Free Recipes, or if you don't have as much time, swap the recipes for one of our Crossed Grain certified products which can be found in our food and drink guide or food and drink directory online. Download your plan today, and don't forget to share your comments and photos on our members' gallery or on social media.